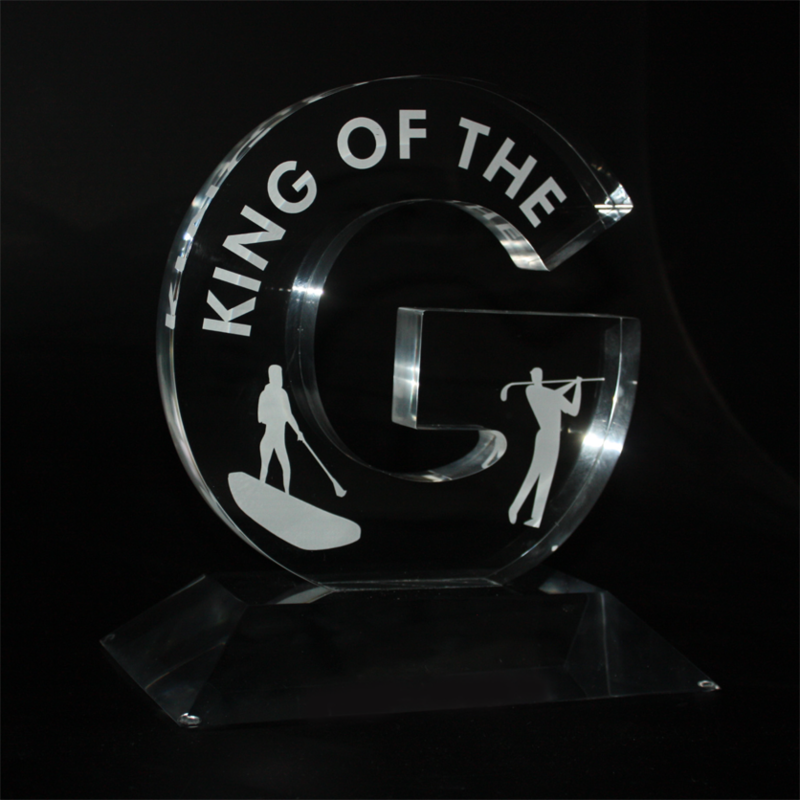 We designed and manufactured this sleek perpetual award for a paddle boarding and golfing event. Both pieces of the trophy were machined out of large clear acrylic blocks which we polished and engraved. This award is a true representation of “less is sometimes more”.